For the last few years, a lot has been said and is still being said about quick response codes. 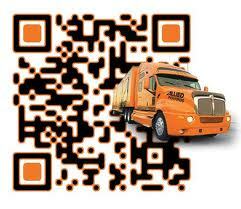 Using QR codes for marketing your business is one of the easiest and most rewarding things one can ever do. This is because creating QR codes is quite easy and affordable and using them to marketing your business means that you are able to reach out to millions of individuals through their mobile devices. As you probably know by now, QR codes can be used with smartphones. You can actually use a smart device to create and even scan QR codes. For this reason, QR codes are an affordable way of doing mobile marketing. One common way QR codes are used is through placing them on business cards. For most people, creating a QR code for a business card can sound like a strenuous challenge. However, this is far from the truth. As a matter of fact, just about anyone can create these codes for their business cards. In order for this idea to work for you, you need to remember that your business cards offer you very limited space. This is especially so if you plan to include the text on the card with the QR code. On the other hand, you may be having a QR code that is bigger than the space you have on your business card. Trying to minimize the size of the QR code may render it unreadable. You need a special way or ways of fitting your QR code onthe business card without making the card look too crowded. In order for your QR code to fit on your business card naturally, you have a few options on placement. It is possible to place your QR code at the back of your business card. This is because the back side is most of the times plain while the front side is covered with text. Therefore, placing the QR code at the back of the card gives it more space for placement. It is also possible to avoid placing any text on your business card and instead focus on creating a QR code that covers the whole business card. Upon scanning this code, you client will be able to find all the info that would have been placed on the card in text format.